Astro-Vision is a pioneer in Kundli software development and its various Kundli software are used by over 10,000 satisfied customers. Our users include astrology centres, business centres, internet cafes, STD /PCO booths, xerox centres, marriage bureaus, astrology classes, and astrologers around the world. AstroLight 1.0 Kundli Software also provides a gem stone recommendation. Now Prepare Oriya Kundli Matching reports too! AstroLight 1.0 also contains a Kundli Matching Software in Oriya. You can also select the regional preferences based on which the matching is performed. The minimum check performed is the Gun Milan check. Other optional checks include Manglik check, among others. These optional checks can be enabled or disabled according to your customer’s preference. AstroLight 1.0 Oriya Kundli software offers accurate horoscope calculations. Our Oriya Kundli software is based on the Indian system of predictive astrology. Astro-Vision's Vedic Oriya Kundli software has all the sets of calculation required for astrological analysis.It also contains the basic Oriya rashi bhavishya such as Bhava predictions for specific houses, panchang predictions, etc. 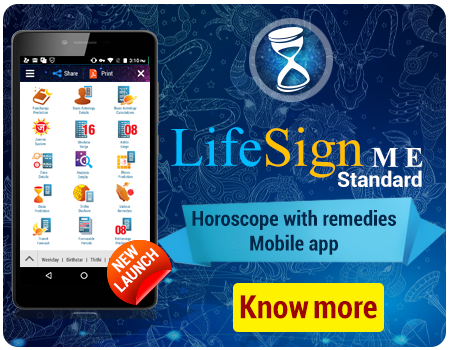 If you are looking for a Oriya Kundli software which includes detailed predictions, then check out Astro-Vision LifeSign Astrology Software with predictions. Prepare horoscope reports and save it to a CD, floppy, hard disk or simply take a print out. You can also send this report through email. Calculation of Birth star and associated star qualities. Analysis of the first house, for predictions on personality, physical structure, status. Analysis of the fourth house, for predictions on property, education, etc. Analysis of the seventh house, for predictions on marriage and married life. Analysis of the ninth house, for predictions on fortune, prosperity, inheritance, etc. 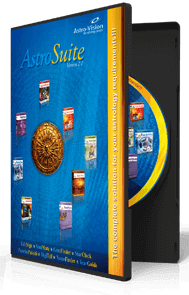 In case you are looking for analysis of all the houses, then check out Astro-Vision LifeSign Astrology Software. AstroLight 1.0 Oriya Kundli software includes Panchang predictions based on the weekday, predictions based on the birth star, predictions based on the tithi, i.e lunar day, predictions based on the Karana and predictions based on the NithyaYoga. AstroLight 1.0 Oriya Kundli Software gives detailed predictions based on the effect of the Dasa and Apahara, starting from the current dasa onwards. Predictions for apahara (bhukti) are also given for twenty five years. The time frame of each apahara is mentioned. (The first five years of life is skipped). While analysing the effect of the Dasa and Apahara, the strength of planets is judged by their positions in Saptavarga . 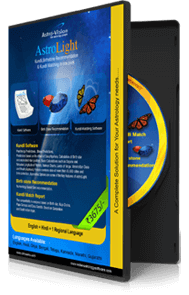 AstroLight 1.0 Kundli Matching Software performs horoscope matching of two individuals based on a number of factors. The minimum check done for matching is star compatibility. Star Check or Nakshatra Compatibility check is used for calculating the compatibility between birth stars. There are various options for calculating the compatibility. Although the basic principles of judging compatibility are the same, there are variations in the standards applied in different places. Different methods are provided to suit regional practices. AstroLight 1.0 Oriya Kundli Matching Software has the provision for performing a Manglik Check. Manglik Dosha is determined based on position of Kuja in a horoscope and in certain positions it is considered to adversely affect the longevity of the married partner. This dosha is believed to be reduced and sometimes even eliminated by the presence of similar dosha in the horoscope of the partners. AstroLight 1.0 Oriya Kundli Matching Software also checks for dasa sandhi as an optional feature. AstroLight 1.0 Oriya Kundli Matching Software also checks for papa matching between the horoscopes. The total Papa (Dosha) in a horoscope is calculated by assigning papa points for different planetary positions in the horoscope. All charts, calculations and analysis provided in this AstroLight Oriya Kundli Software are based on Vedic Astrology. The nirayana longitude of the planets, the rasi, the longitude in the rasi, the star as well as star pada is calculated. The star, star lord, sub lord as well as sub-sub lord is calculated for each planet. The dasa as well as dasa balance at birth is also provided along with the rasi chart and navamsa chart. AstroLight 1.0 Oriya Kundli software also provides the bhava chart as well as the bhava table. Various charts are prepared by the Oriya Janampatri software after making the necessary calculations such as the Rasi chart, Hora chart, Upagraha Chart , Drekkana chart, Chathurthamsa chart, Saptamsa chart, Navamsa chart, Dasamsa chart, Dwadasamsa chart, Shodasamsa chart, Vimsamsa chart, Chathurvimsamsa chart, Bhamsa chart, Trimsamsa chart, Khavedamsa chart, Akshavedamsa chart, Shashtiamsa chart, Ashtakavarga Charts and Tables. Details of the Dasa and Bhukti (Apahara) Periods are given. Various ayanamsa settings are included, such as Chitra Paksha ayanamsa or Lahiri ayanamsa, Raman ayanamsa, Krishnamurthy ayanamsa and Zero ayanamsa. AstroLight Oriya Kundli software has a large in-built database of cities from around the world. So, you don’t need to enter latitude, longitude and time zones of major cities. Additional cities can also be added, making the list of cities fully customizable. It makes the task of preparing a Janam Patri easier. ଏବେ ଓଡ଼ିଆ ଜାତକ ମେଳକ ରିପୋର୍ଟ ମଧ୍ୟ ପ୍ରସ୍ତୁତ କରୁଅଛି! ଯଦି ଆପଣ ସମସ୍ତ ଗୃହର ବିଶ୍ଳେଷଣ ଚାହୁଁଥାନ୍ତି, ତେବେ ଦେଖି ନିଅନ୍ତୁ ଆଷ୍ଟ୍ରୋ-ଭିଜିଅନ ଲାଇଫ ସାଇନ୍ ଆଷ୍ଟ୍ରୋଲୋଜି ସଫ୍ଟଓୟାର. ଆଷ୍ଟ୍ରୋଭିଜିଅନ ଆଷ୍ଟ୍ରୋଲାଇଟ୍ ଓଡ଼ିଆ ଜାତକ ସଫ୍ଟଓୟାର ଅନ୍ତର୍ଭୁକ୍ତ ଦୈନିକ ପଞ୍ଚାଙ୍ଗ ଭବିଷ୍ୟବାଣୀ, ଜନ୍ମ ନକ୍ଷତ୍ର ଅନୁଯାୟୀ ଭବିଷ୍ୟବାଣୀ, ତିଥି ଉପରେ ଆଧାରିତ ଭବିଷ୍ୟବାଣୀ ଯେପରି କି ଚାନ୍ଦ୍ର ଦିବସ, କରଣ ଉପରେ ଆଧାରିତ ଭବିଷ୍ୟବାଣୀ ଏବଂ ନିତ୍ୟ ଯୋଗ ଉପରେ ଆଧାରିତ ଭବିଷ୍ୟବାଣୀ।. 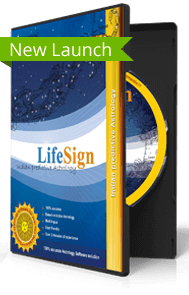 This astrology software suite is a combination of 8 different astrology software products, ideal for business users. *Some software are available in fewer languages. This horoscope software provides detailed horoscope calculations & remedies based on Vedic astrology. © 2002 - 2019. Astro-Vision Futuretech Pvt. Ltd. All rights reserved. Get the most comprehensive set of Astrology Software Suite covering all branches of Vedic astrology like Horoscope with remedies, Marriage Matching, Gem Recommendation, Panchanga, Muhurtha and many more. Used by astrologers all over the world. An ideal package to start your astrology service right now!